Reliance Jio offered average 4G download speeds of up to 18.5 Mbps, whereas the runner-up Vodafone managed to provide 9.95 Mbps download speeds. 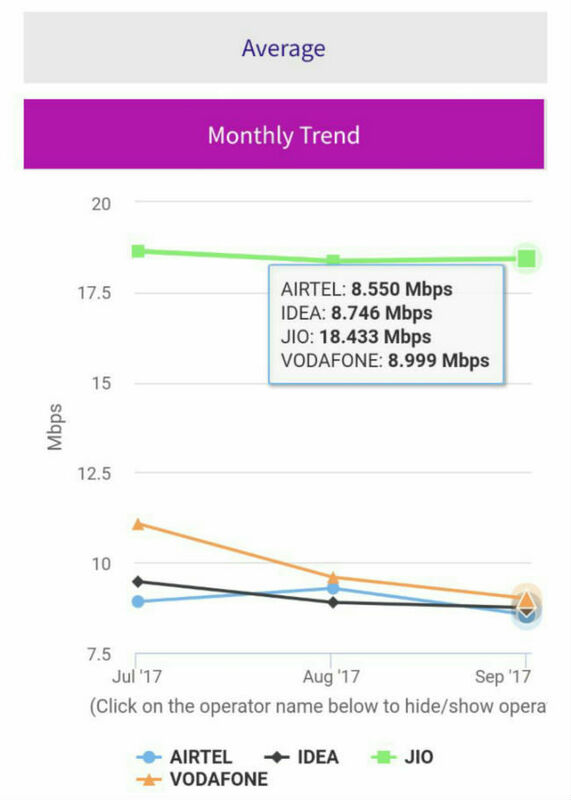 In average 4G upload speeds, Idea came on top with 6.3 Mbps, followed by Vodafone and Jio at 5.9 and 4.4 Mbps respectively. Telecom Regulatory Authority of India (TRAI) has released its MySpeed app data for the month of September. The data shows average 4G download and upload speeds of various telecom operators in India. A PTI report, supplemented by TRAI’s data shows that Reliance Jio topped the charts in September with its fastest download speeds. Vodafone came in second, with Idea and Airtel in pursuit. 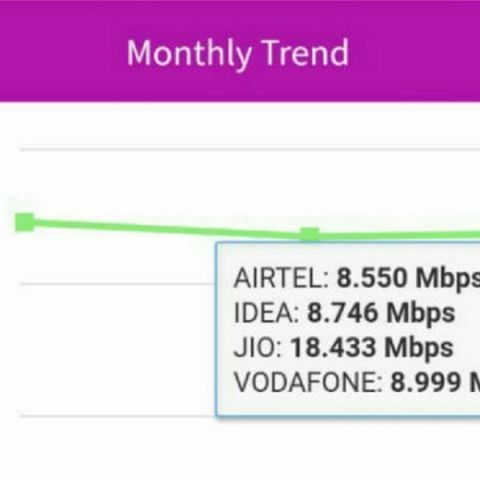 As for 4G upload speeds, Idea snatched the top position, followed by Vodafone and Jio. Getting down to the details of average 4G download speeds, the MySpeed app data reports that Reliance Jio offered average download speeds of upto 18.53 Mbps, which is well above Vodafone’s 9.95 Mbps speeds. Idea came in third with download speeds of upto 9.05 Mbps. In terms of 4G upload speeds, Idea outperformed other telcos by offering up to 6.3 Mbps, followed by Vodafone at 5.9 Mbps. Reliance Jio comes in third with an average 4G upload speed of 4.4 Mbps. The report further stated TRAI’s plans of tweaking the MySpeed app and introducing more transparency in its evaluation methods after consulting with telecom operators. TRAI had said it will release a white paper soon, which explains the algorithms and methods employed in its MySpeed app for measuring download and upload data speeds of telcos. In a recent report by OpenSignal, Jio was said to offer maximum 4G coverage. The report also stated that Airtel is the fastest network, whereas Jio offers maximum 4G availability, with its users being able get an LTE signal more than 95.6 percent of the time.